Music Pride: SCANDAL JAPANESE BAND COPIED GIRLS GENERATION! 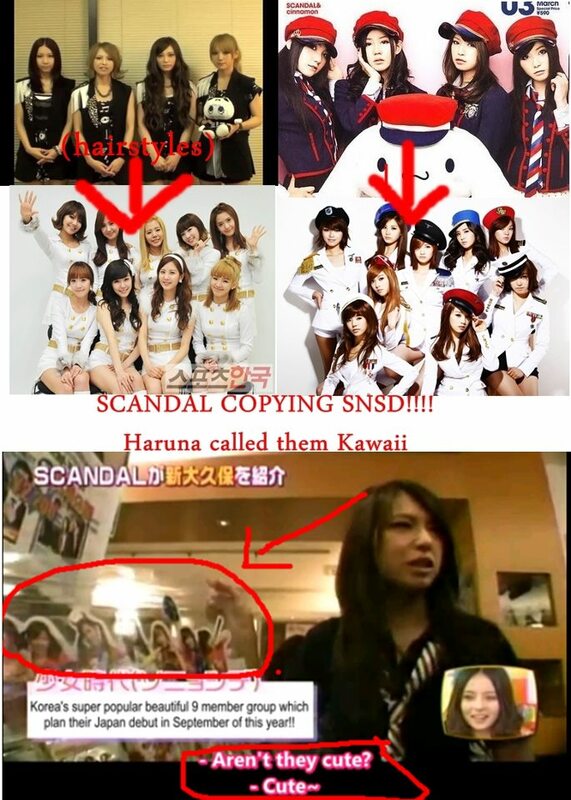 Do you agree Scandal copying SNSD????? I like them before with 'Shoujo s MV' and their song are Pop not like rock music. and they always dance every-time in the music video..